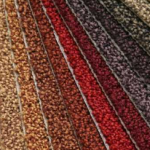 Choosing the right carpet can be rather overwhelming. You want to get it just right so that it not only looks good and complements your surroundings, but also feels nice and comfortable too. 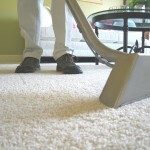 Yet without knowing what types of carpets are available, it can be quite difficult. When searching for your ideal carpet, the main things to consider are; comfort, appearance and durability – all of which a natural carpet can offer. 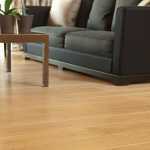 The natural carpet is becoming an increasingly popular flooring solution for the home and other premises too. Without any man-made fibres, it makes for an extremely durable and long lasting carpet choice, so you get a high quality carpet and value for your money too! This durable and stylish carpet originates from the sword shaped leaves of the Sisalana plant farmed in East Africa, Brazil and Mexico. Sisal makes for a naturally strong hard wearing flooring option – a good investment ideal for hallways and staircases. Seagrass is made from the fibres of grass which is spun into a yarn and used for carpets. Its natural colour and texture uplift any room and giving your interior a natural element, bringing a bit of outside in. Jute is one of the softest natural fibres, grown in Southern India. They bring warmth to any room, making it ideal for living rooms, bedrooms and children’s playrooms. 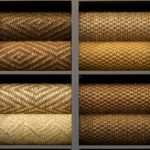 The fine fibres form a tweed appearance on the surface and are commonly used in darker rooms to brighten them up. Carefully crafted from Indian coconut husk fibres, coir offers your home a hearty rich feel that’s full of natural goodness casting a golden appearance upon your floors. The coarse texture of a coconut, that you may be familiar with, makes coir a great durable carpet choice. Wool is available in varying textures, colours and weaves and is a luxurious, cosy option for bedrooms and living rooms. As the most resilient and versatile of natural carpets, wool carpets are ideal for any home or work premises. So when you begin your search for the ideal carpet, consider bringing some natural character into your home, with organic, strong and durable fibres that can offer you great value for money. With plenty of choice in colour and weaves, natural carpets provide a versatile flooring option that can meet all your needs. To find out more about the benefits of natural carpets, get in touch with the friendly team at Brent Carpet Company today and our friendly team will be more than happy to help you.